Hello loves! In following with my blog's motto of "Small Price Tags," I wanted to share with you what exactly I meant by that. Not literal miniature sized price tags, but rather ways to save money, to get individualized looks, and to support a community of fellow fashionistas on a budget. Shop Smart: Ebates.com is most simply described as a way to make money to shop online. There is no catch! All you have to do is sign up and you will immediately get a $10 gift card mailed to you from a list of pre-selected stores. After that, each time you shop online you simply have to go to Ebates.com, check if that store is covered (which by the way, most well-known stores are), and continue to shop through the new window that is opened. If you use Google Chrome, there is an add-on extension that let's you activate the cash-back process right from that same store window! While it may not be much (maybe a few dollars every purchase), you have to keep in mind that this is free money to shop! You'll get a "Big Fat Check" every few months mailed directly to your home. Sign up by clicking the link above or photo below! 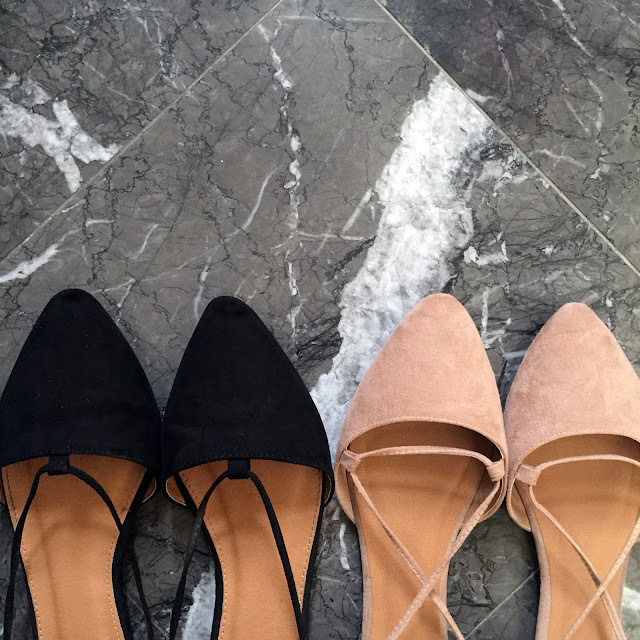 Shop Fun: Stitch Fix is a personal online stylist/shopper that sends you specially selected items every 2-3 weeks, every month, every two months, or every three months based on your own style profile. The items are are handpicked especially for you and can range from articles of clothing to accessories to shoes. While the price tag usually totals about $200 for five or so items (which is way over my budget for anything), what I do love about Stitch Fix is that it is tailored specifically to the occasions in my life and my petite sizing. They are a nice surprise to receive every few months that also helps me step outside of my fashion comfort zone. I have received three "Fixes" so far and I absolutely love them all. What if you don't like everything or anything, you ask? It's simple, your Fix will come with a pre-labeled bag for you to mail back. You only pay for what you want! There are even options for maternity clothing, petite sizing, and choosing specific prints or items to avoid. So if you don't particularly like fur, then you can tell them you don't want it. What are you waiting for? Sign up using the above mentioned link or click here to try it out! Shop Together: Poshmark is an app-based selling platform similar to eBay, Mercari, etc. where you are able to post new or gently used items for sale. While you are limited to posting items strictly through a phone or tablet, you can manage your account through the website as well. Poshmark has a great community of women who all have the same goal in mind: sell your things so you can buy more things. The only catch is that there is a commission fee: $2.95 for items marked at $15 or less and 20% for all items marked higher than that. However as a buyer and a seller, the platform is user friendly and resembles a combination of eBay, Tumblr, and Pinterest all in one. Sign up using my code BYCUE to get a $5 credit straight to your account! I hope you all feel a little closer to shopping small price tags. Thanks for stopping by! P.S. 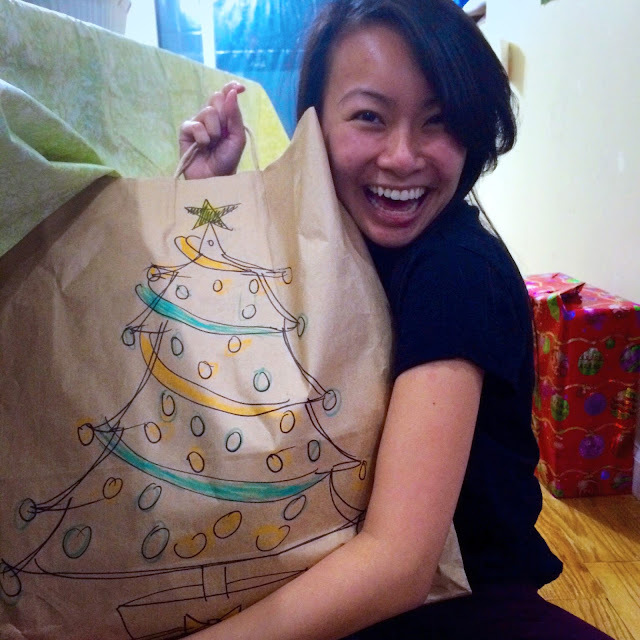 whoa, whoever drew that Christmas tree on that bag is really artistic!!! You sold me on Ebates!!! I hope you enjoy using these sites as much as I do!